Cold, iced beverages on a hot summer day, or a quiet summer evening, are relaxing and refreshing. These recipes from the 1920’s and the 1960’s give us a peek into what was being served during those days. The Nasturtium Punch is especially unique. Nasturtium is an edible flower and herb that is very easy to grow from seed. One packet would grow more than enough flowers recipe and garnish. The pretty flowers have a peppery taste,and can be used to garnish any summer drink, as well as the punch recipe given below. Do make sure the herbs or flowers haven’t been sprayed with chemicals before using in recipes. I’ve made some changes to the recipes below to update methods, and added my own notes. Mix cocoa with boiling water. Add mint and cook until thick. Add sugar and milk. Bring to boiling point and remove from the heat. Strain and cool. Add vanilla. Ice and serve. Charged water (soda water) may be added. Note: Any type of mint will work with this recipe, but chocolate mint is really nice. Bruise the leaves and the stems of the mint, and crush the berries, putting them in the ice cold lemonade at least two hours before using. Remove the mint before servings. Makes 6 servings. Note: Any type of lemonade will work with this recipe, but a good, homemade lemonade makes it extra tasty. Dissolve 3 cups sugar in lemon juice. Dredge pineapple cubes with 1 cup sugar and allow to stand. 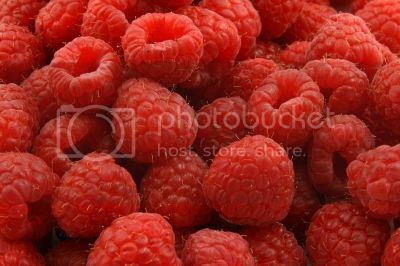 Pour ice water into a punch bowl, stir in sugar and lemon, then the berries, slightly crushed, and the sugared pineapple. Stir in wine and champagne and serve ice cold. Pound nasturtium flowers to a paste in a mortar, together with a little sugar. Make a simple syrup of the rest of the sugar, remove from the heat, and while still hot stir in the flower paste and lemon juice. When cold add claret and stir until ice cold or freeze. Garnish with a fresh nasturtium in each glass. Enjoy your summer of refreshing drinks!